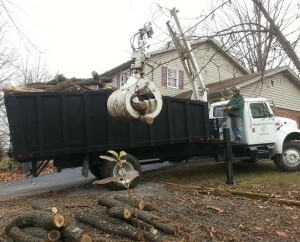 Staunton Tree Service has been in business for over fifty-five years. Opened in 1954, we have continued to offer prompt, reliable tree care and removal to residents and businesses in the Staunton/Augusta County area. STS has both Certified Arborist and Certified Tree Worker certifications and retains a large variety of equipment to help get the job done quickly and professionally. We specialize in tree removal, pruning, stump removal, cabling, and emergency service. STS is fully licensed and insured. We look forward to providing your tree maintenance and removal needs. Staunton Tree Service is owned and operated by ISA Certified Arborist Kris Schmandt (MA-5559A). Kris has lived in the Staunton/Augusta County area since 1994 and has worked in the greens industry since 1996. Kris is proud of the personal service and unique touch that Staunton Tree Service offers its customers. He resides in Augusta County with his wife, Faith, and their four children.